Did You Demo A Prototype? See what we updated. 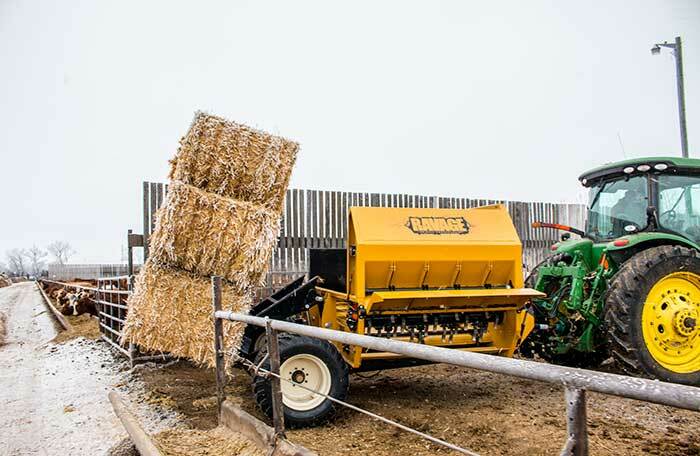 What Makes The Ravage Bale Processor Great? 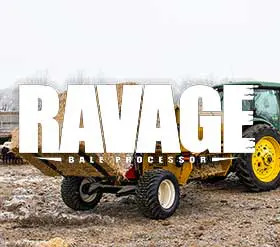 The Ravage Bale Processor is designed to maximize your processing time with the ability to hold up to 3 square or 2 round bales including a variety of bale types. 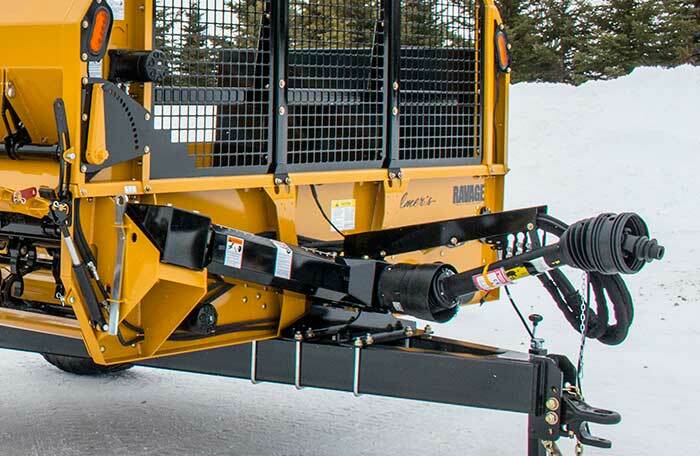 The Bale Processors heavy duty design and key features give you the flexibility and strength to keep you moving. 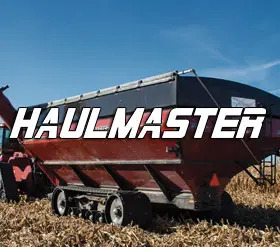 The Ravage gives you the ability to utilize up to 2 round or 3 square bales of any variety per load to give you the flexibility to process the best bale type available to you. 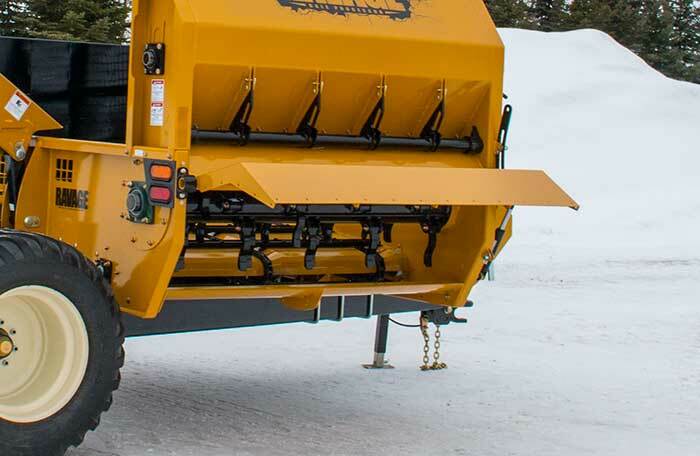 The Live Floor gives the operator the ability to fully control the bale and speed of processing which allows you to shred the bale evenly and efficiently. 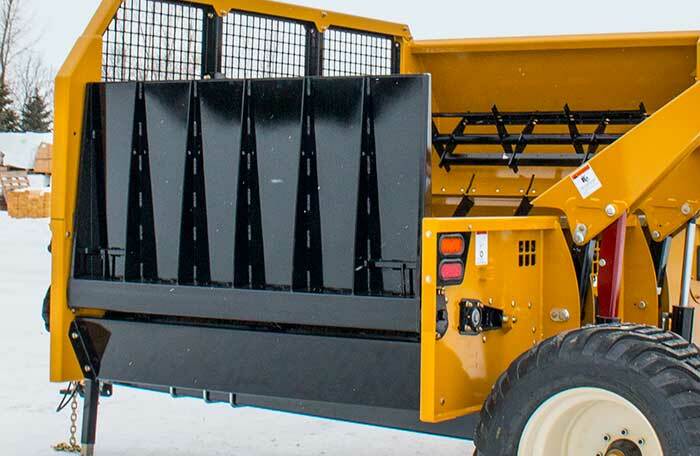 The Ravage was built with great operator visibility of the bale for processing and loading in mind giving the ability to fully see what’s happening and making loading multiple bales an ease. 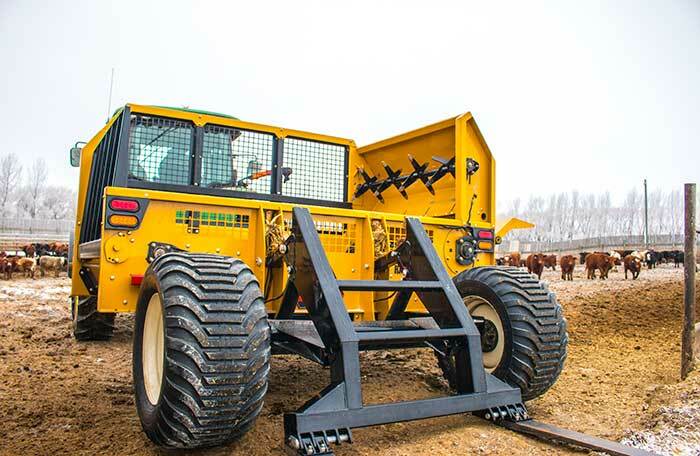 The Ravage Bale Processor shreds round or square bales of all varieties and is built to handle your toughest bales. With the ability to hold up to 3 square bales per load, it reduces your trips giving you the ability to process more bales in less time. 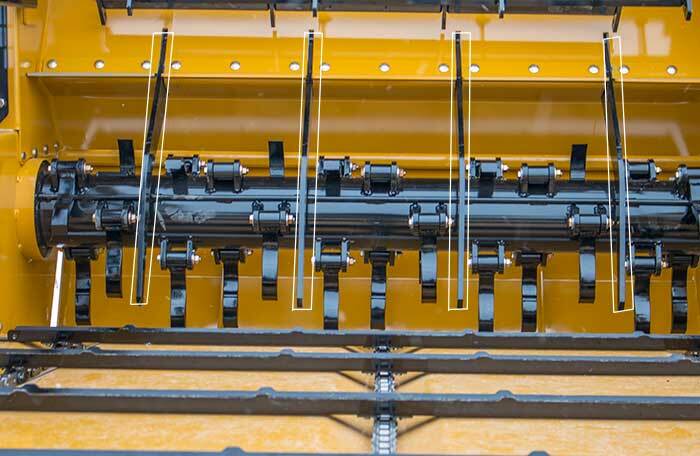 The upper beater bar helps feed the bale into the flails while the adjustability gives the flexibility to process all different sizes of bales. 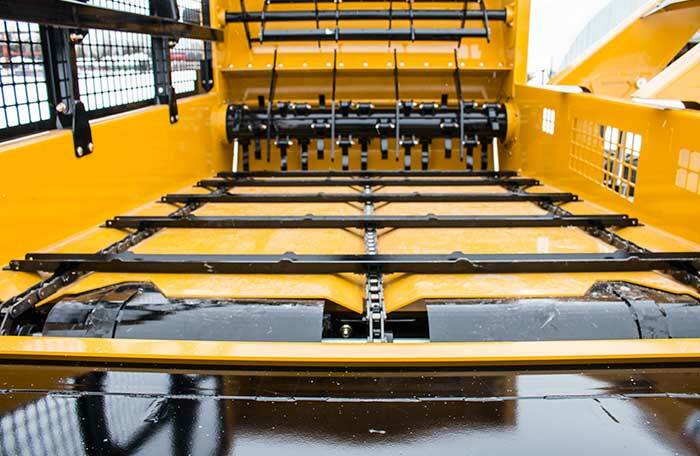 The directional chute gives you full control of the hay and allows you to go from spreading to bunking with ease. 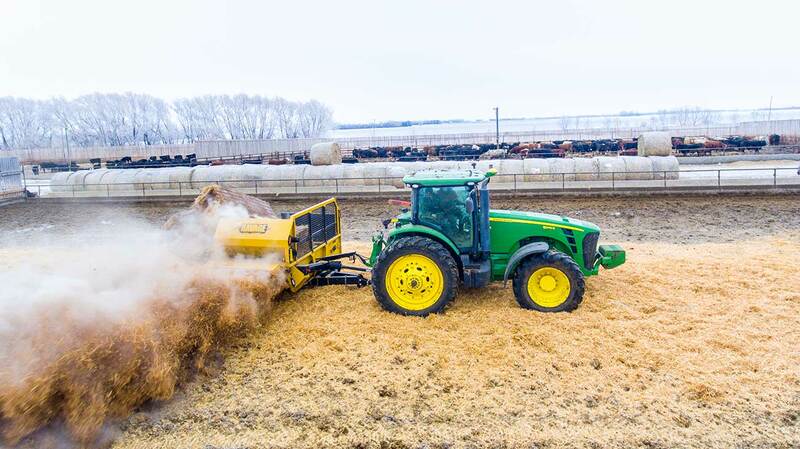 The bale discharge door gives the ability to remove un-needed bales while also giving the flexibility to move the bale out of the way to get a better view for loading. The Ravage Bale Processor Live Floor gives you full control of the bale feed giving you the flexibility needed when processing bales. 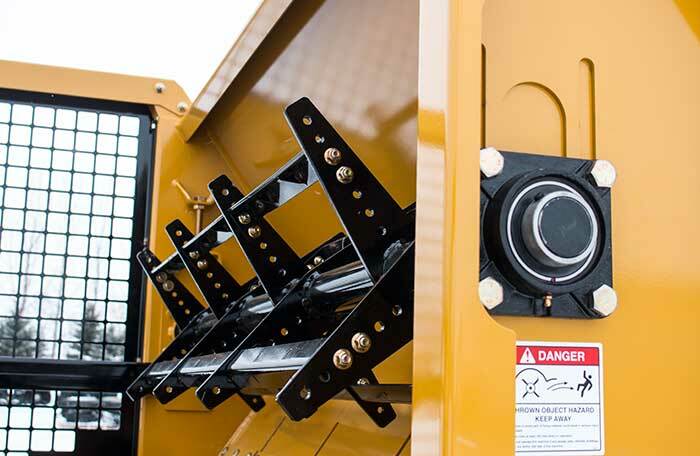 The floor can also be reversed to discharge an unneeded bale or to help the operator see when loading a secondary bale on the forks. The auto torque limiting clutch eliminates the need to replace shear pins during processing. 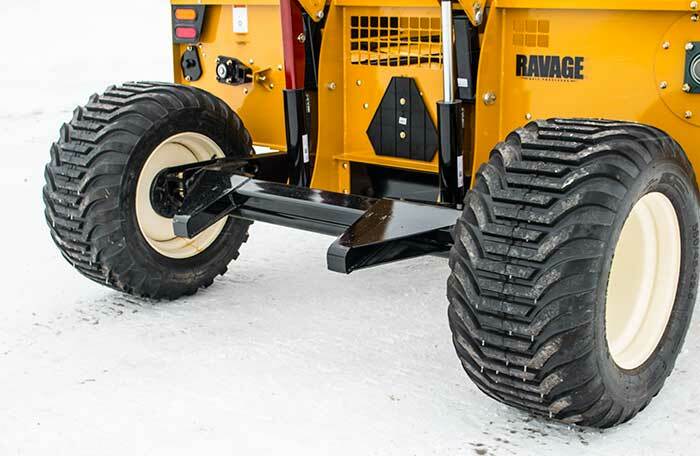 The high floatation tires reduces rutting and compaction while you’re processing. The adjustable aggression bars give the flexibility on how quickly you want to bale to be processed. Nothing proves our product better than seeing it on the field.